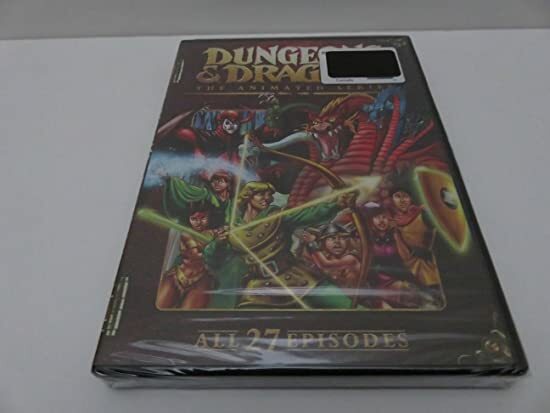 An enchanted roller coaster delivers six youth into the magical realm of Dungeons & Dragons. There, each of them gains magical talents and abilities, all the better to survive their time in the Realm. 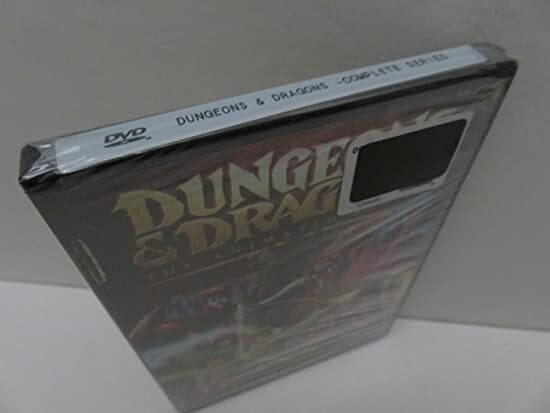 The bow-shooting ranger, the acrobat, the thief, the cavalier, the boy wizard and the barbarian are soon joined by a baby unicorn and tutored by the mysterious and inscrutable Dungeon Master. Opposing them is the evil sorcerer Venger, as well as various ogres, demons, bounty hunters, dragons, lizard men, skeleton warriors and more; all intent on keeping the kids from getting back home! 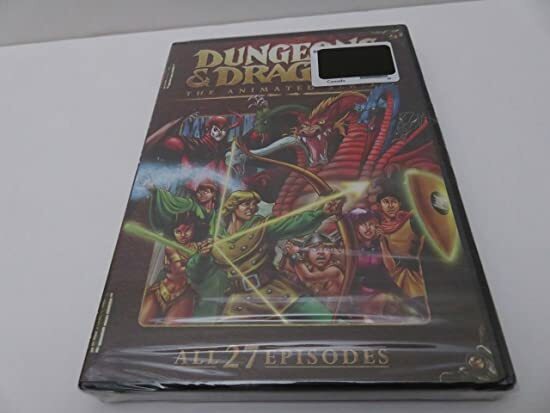 Dungeons & Dragons was one of CBS's (1983 - 1985) most popular animated series and was later broadcast on NBC (1990), FoxKids (1992), Jetix (2006) and ToonDisney (2006). Featuring the voice talents of Willie Ames (Eight is Enough), Adam Rich (Eight is Enough) Donny Most (Happy Days) and veteran voice actors Frank Welker, Jennifer Darling and Peter Cullen. 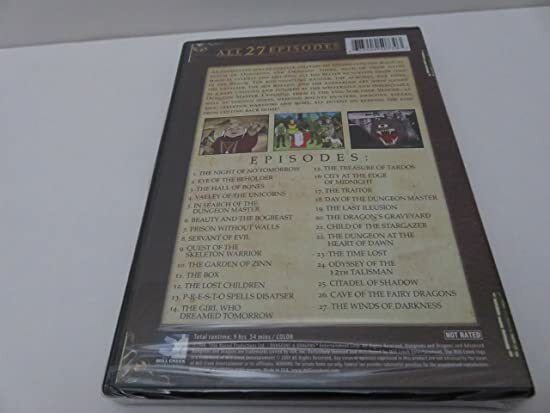 All 27 episodes from this entertaining series can be found in this exciting DVD set from Mill Creek Entertainment!